The Brod Law Firm believes that Californians should be able to trust the safety of products sold to and used by residents of The Golden State. As a San Francisco product liability law firm, we help consumers injured by defective products recover compensation through both individual and class action lawsuits. Since we also represent many people injured in car accidents, we know that it is particularly dangerous when the defective product is a car or automotive part. On Thursday, Michelin announced a voluntary recall of approximately 841,000 tires sold under the BFGoodrich and Uniroyal brands. According to the AP report carried by The San Francisco Chronicle, the treads can separate resulting in rapid air loss. While no injuries or deaths have been linked to the tires, quality-control workers noticed an uptick in problems associated with the tires this year. According to Michelin, separation has occurred in fewer than 150 tires but the company felt a recall was necessary in order to protect driver safety. 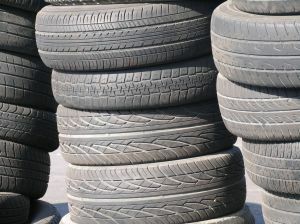 The recall involves replacement tires manufactured from April 2010 until early 2012 and used on heavy duty, full-sized vans and commercial light trucks. The specific tires involved in the recall are BFGoodrich commercial tires LT 235/85 and LT245/75 and Uniroyal Laredo tires LT 235/85 and LT245/75. Michelin has set-up a toll-free number and web sites for consumers and will replace the tires at no charge. Michelin is not the only company to have had a problem with tread separation. Authorities linked more than two hundred deaths and three thousand serious injuries to a tread separation defect that led Firestone to recall millions of tires in 2000. Firestone and Ford battled over who was legally responsible for that epidemic of accidents, but experts agreed that tire problems were to blame. As recently as this February, tire separation concerns led to Goodyear issuing a recall of approximately 40,000 Wrangler Silent Armor tires. Tread separation occurs when the tire’s tread separates from the body of the tire, also called the casing. It is seen most often with tires for large cargo trucks because new tires are very expensive so owners/operators often opt to use retreads or recaps, placing a new tread on a reconditioned carcass. In the case of passenger car tires, separation can often be identified and remedied before the point where it leads to a blowout or other failure. Manufacturer’s defect is one of the leading causes of tread separation. A problem in the chemical process can prevent the tread and steel belting from properly bonding to the tire casing. In only a short period of time, a defective tire will show signs of a balance problem. A bump will then appear in the tread. With further use, this bubble will expand and continue to grow until tire failure occurs. Tread separation can also be caused by improper flat repair. This occurs when a puncture is not prepared correctly, allowing the tip of the repair plug to cause tire separation. Once separation caused by improper repair begins, it cannot be corrected and will continue until the tire fails or is replaced. Other causes of tread separation include over-inflation, hitting a large pothole at a high speed, or excessive wear. Defective tires are dangerous and even deadly. Tire manufacturers must be held to a high standard of excellence and tread separation stemming from manufacturer defect cannot be tolerated. Our San Francisco tire defect attorney will fight for victims who have been injured or lost a loved one due to a manufacturing defect. Where appropriate, we are also prepared to bring a class action suit against tire manufacturers. Product liability claims provide vital compensation and send a strong message to the tire industry demanding that they make safety a top priority. For more information on tread separation see Autos.com.